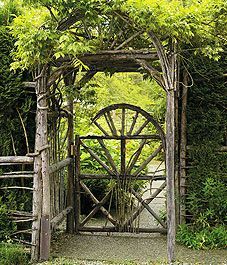 My grapes could grow nicely up this arbor, but I think this gate is a little too uniform for my tastes. 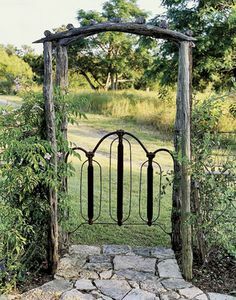 I want my gate to look a little wild – kinda like my garden! 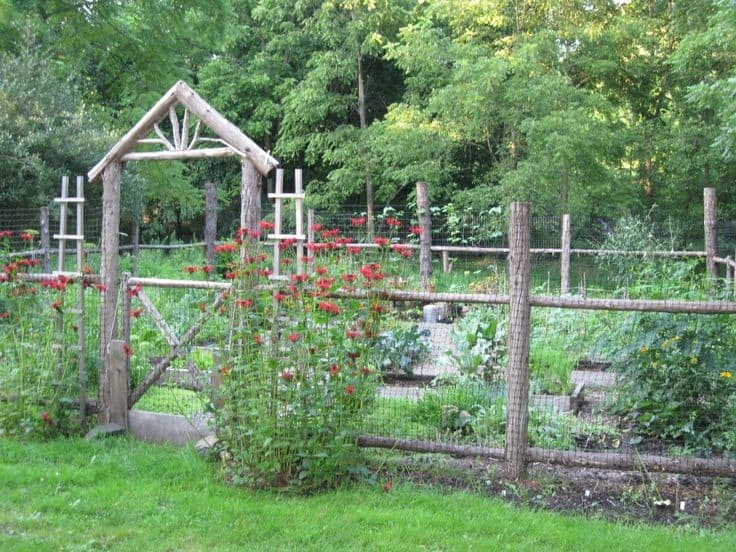 This fence looks very similar to my garden’s fence, and the arbor is high like mine as well. The gate is too uniform still. This comes from Two Men and a Little Farm. Now this is cool! I really think I could do this, but it would have to be on a much larger scale. I saw this on my house in Africa blog. 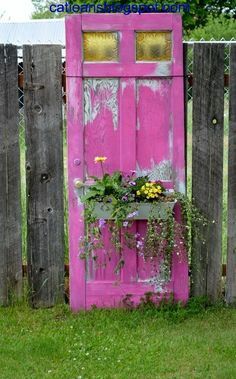 Using an old door by Hometalk is a cool idea as well. I would need to have two doors though. My gate needs to be wide enough for the tractor to fit through for rototilling. I love the window box with flowers! Or is this called a door box? LOL! 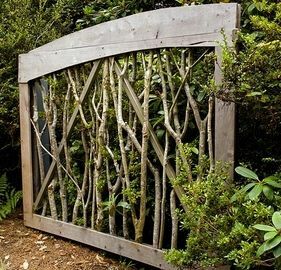 I never would have thought of using a headboard for a gate! This idea might work because of the width of my opening. Where to find an iron headboard? This looks like an easy idea by Lonny. 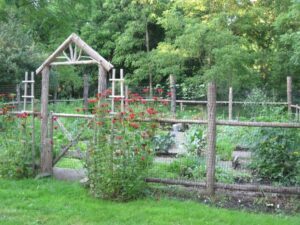 I think you can purchase sections of fencing at a hardware store. I’ll keep this in mind. Possibly the coolest idea yet from Dukes and Duchesses! 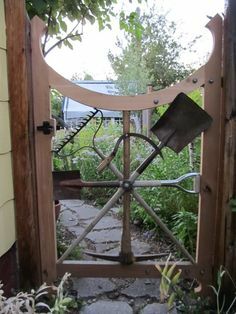 Using tools for a gate! 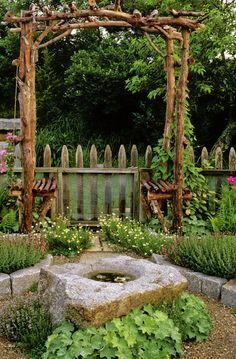 Maybe I can incorporate tools with twigs! Lots of old tools kicking around in my shed. This is it! I’ll post pictures when it’s up and functioning! I’d love to see them! 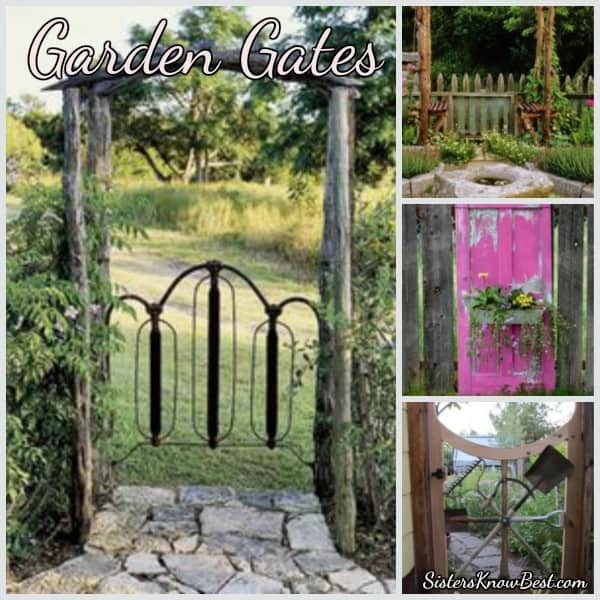 Share your garden gates on Facebook with us! Love this list! The old repurposed door is a really cool idea, Especially if you’re remodeling the interior. Thanks Harvey! 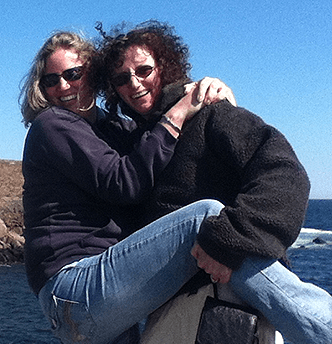 They are some of our favorites for sure!